The Cowboys scored a major win last night in Philadelphia and we're all basking in the glory of a Victory Monday. But even in victory, Quarterback Dak Prescott showed some pretty concerning flaws. Dallas won a battle last night, but do they have a QB who's going to help them win the war? If you didn't watch the game and only looked at Prescott's stats, you'd probably tell me I'm crazy for writing about this. Dak put up a 102.8 passer rating with 270 yards, one touchdown, zero turnovers, and 72% on his completions. That rating doesn't even account for his rushing touchdown, either. Throw in the overall story of leading his team to a must-have win on the road against the defending Super Bowl Champions, and Dak Prescott certainly had a good night overall. But if you watched, you saw him miss some really easy passes. Ezekiel Elliott was open in the flat with room to make a play, but an errant throw put it the ball out of reach. Cole Beasley was barely past the line of scrimmage, and again Prescott's inaccuracy killed the play. Later in the game, Dak failed to read that Michael Gallup was open with a chance at a long touchdown. Instead he went safe, and it went nowhere. Chris Collinsworth pointed that play out. He also noted, accurately, several times that Prescott was staring down receivers. One time should've resulted in a pick-six for the Eagles, but the defender dropped the ball. I know what you're probably thinking; "This guy is just a bitter Romo fan who is rooting for Dak to fail." Nothing could be further from the truth. I applauded the decision to stick with Prescott in 2016. I've been so excited for the prospect of this fouth-round steal becoming the foundation of the next Dallas dynasty. I like Dak immensely as a person and leader. But in Year 3, I'm not seeing growth from that exciting rookie season. There's no indication that Dak Prescott has improved at all from 2016. That would be okay if all other things remained status quo. The Cowboys were good enough to be 14-2 that year, giving away the Week 17 game to rest for the playoffs. The 2016 version of Prescott was more than adequate. But then defensive coordinators had time to figure him out. And over the same span of time, Dallas' legendary tight end retired. Plus, it's stalwart offensive line started wearing down. These things happen. Few things are constant in sports, and great players have to keep developing to overcome them. But Prescott is still making poor throws, missing opportunities, and holding the ball too long. He's making rookie mistakes in his junior year. This isn't a young QB who's been asked to deal with ongoing changes in the coaching staff on a bad team. Even to the chagrin of some, Jerry Jones has kept the staff in tact to give stability to Prescott and the rest of the roster. Eventually, these weaknesses in Dak's game can no longer be attributed to age. At some point, they may just be who he is. About two weeks after the Cowboys took Prescott in the 2016 NFL Draft, I wrote an article titled "Dak Prescott Probably Isn't the Future." I discussed the general career outcomes for quarterbacks taken in the fourth round, and how Dak would be a very rare specimen if he turned into a competitive starter. In about one more year, the Cowboys will have to decide if they want to stay married to Prescott. His rookie contract expires after the 2019 season. 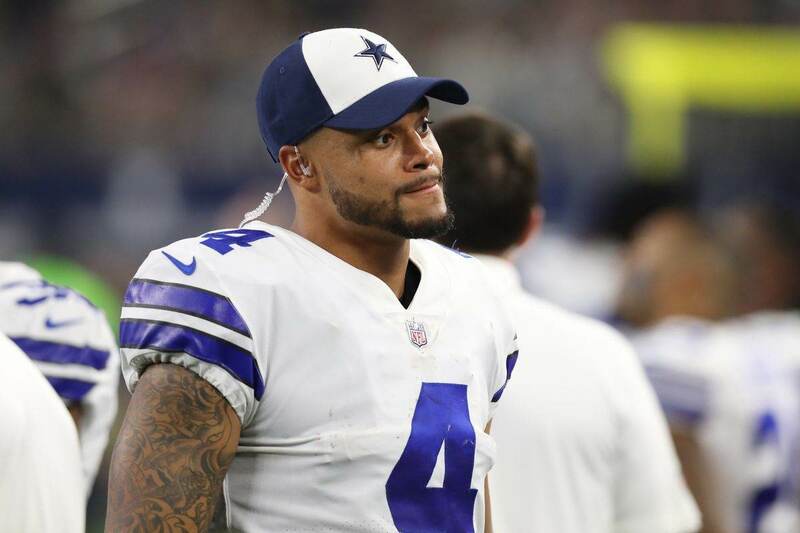 At this point, despite anything coming out of Jerry Jones' mouth, has Dak really shown enough to deserve a long-term commitment? It's easy for the front office to say nice things now. It's the right thing to do; support your guy while he's your guy. But this time next year, and especially in 2020, will Dak Prescott still be their guy? It's hard to say right now. Everyone is riding high off that win, but those errant throws and missed big play opportunities will rear the head again this year. And as long as they keep happening, Dallas is going to lose more games than they win. When everyone sobers up today, they will still see that this is a 4-5 team. They'll see Carson Wentz in Philly, and the likelihood that the Giants will be picking up a Top 5 talent at QB in the next draft. Do we really have a quarterback that can keep the Cowboys competitive in the NFC East, let alone the NFL, for seasons to come? I sure hope so. But unless Prescott starts cutting out the rookie mistakes, then the dark cloud of uncertainty isn't going away. Last night was fun, but it will be quickly forgotten if we're headed to another middling finish and missed playoffs. Throw Jason Garrett, Scott Linehan, and Kellen Moore under the bus all you want. They probably deserve it. But so far this this year, so does Dak Prescott. Cowboys fan since 1992, blogger since 2011. Bringing you the objectivity of an outside perspective with the passion of a die-hard fan. I love to talk to my readers, so please comment on any article and I'll be sure to respond! Cowboys Draft: Will A Quarterback Be Considered?